Book you stay at the Brit Hotel Le Kérodet, our hotel near Quimper welcomes you as you embark on a thrilling adventure in Cornwall! Located in the charming town of Erguë-Gaberic, only a few minutes away from Quimper’s city center, our hotel is open every day from 7 a.m. to 11 p.m. Should you arrive any time earlier or later, you can still get your room keys from an automated machine. Leave your car in our secure private parking for free. The Brit Hotel Le Kérodet has 52 rooms among which, 7 family rooms. 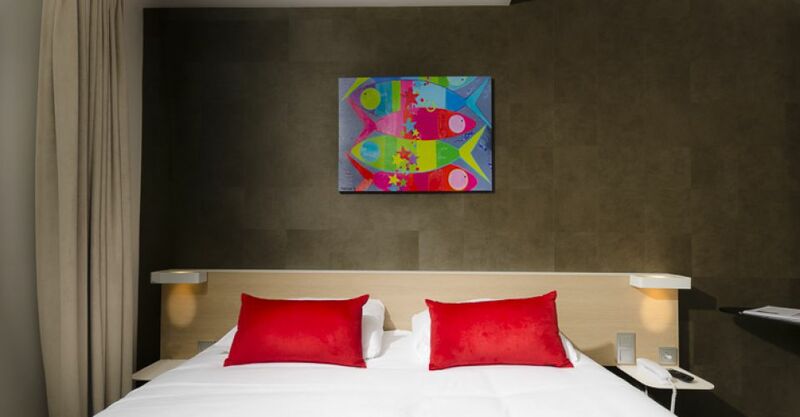 From “standard” to “comfort” and “grand comfort”, the rooms of our Quimper hotel are adapted to your needs! Your room has all the necessary equipment for a successful trip: a private bathroom, a telephone, free Wi-Fi and a flat screen TV with Canal +. Choose our traditional restaurant for lunch (from 12 to 2 p.m.) and dinner (7.30 to 9.15 p.m.). The restaurant is closed from Friday night to Sunday night. In need of a relaxing moment after a long day of work or touristic visits? Come share a drink at our bar, play baby foot or get cosy in our TV lounge! The Brit Hotel Le Kérodet has 4 meeting rooms which can easily adapt to your professional needs. No time to hesitate! 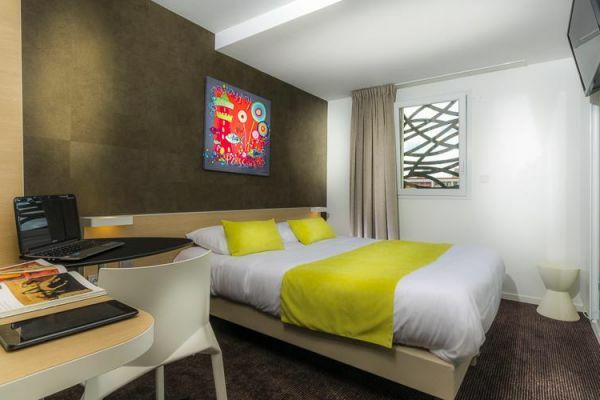 Start booking your stay in our Quimper hotel right now!